GOVERNORS Alfredo Marañon Jr. of Negros Occidental and Roel Degamo of Negros Oriental have pledged their support for the creation of Negros Island Federal State in a meeting held at Dumaguete City, Negros Oriental on Saturday. Arthur Aguilar, lone Negrense member of President Rodrigo Duterte’s Consultative Committee (ConCom) and chairman of the Economic Sector, initiated the said meeting. The committee is tasked to review the 1987 Philippine Constitution. Aguilar pledged he will do everything that Negros Island Federal State would be realized in the federal form of government. "Never again that the two Negros provinces would be separated under federalism," he said. The Negros Island Region that was created during the administration of former president Benigno Aquino III was dissolved by Duterte, his successor, due to budgetary constraints. Marañon said that the Negros Island belonging to one federal state is very “viable and advantageous” to the two provinces. Based on the Commission on Audit’s Financial Report in 2015, both Negros provinces were listed as among the richest in the country, so even with the composition of just two provinces, the Negros Island Federal State can stand on its own because Negros Island is also the center of renewable energy and within five years, it can provide power to the whole Visayas, he said. He further said that the creation of Negros Island Region (NIR), although it was short-lived, had apparently proven that the joint and collaborative efforts of the two provinces for the protection of its ecosystem and the maintenance of peace and order were very effective. “Both provinces have done so much in just so little time,” he stressed. Degamo, for his part, said he is supporting the proposal to create Negros Island as one federal state, but firmly stated that under the new federal form of government, provinces should be retained. 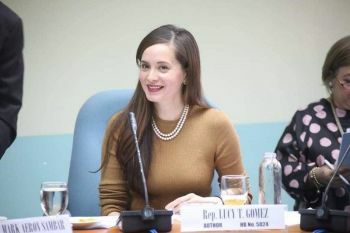 He added that during the short-lived NIR, proposals to link and connect the two provinces were made and some road networks in the Negros Oriental side have been completed. Aguilar said the proposal of ConCom is just for 17 states but he is strongly recommending Negros Island as one federal state because even the Asian Development Bank (ADB) and World Bank find it practical given that the two provinces share one ecosystem and the peace and order situation is better under one command, as was done more than 30 years ago when they created the Negros Island Command. With his proposal to create Negros Island as one state, he said he needs the full support of the two governors as well as the people of both provinces because he would need basis. He further asked the two governors if they are amenable to name it “Negrosanon State” to avoid negative connotation with its original “Negros” name, which also earned the approval of both governors. ConCom is chaired by Justice Reynaldo Puno. Its members include former Senate president Aquilino Pimentel and former Supreme Court Associate Justice Bienvenido Reyes. They are tasked to study, conduct consultations, and review the provisions of the 1987 Constitution including the structure and powers of the government, economic policies and local governance. By June, they will present the recommendations and proposals to Duterte, who will then submit a report to Congress.